To Promote and Serve Georgia’s Coin Operated Amusement and Music Industry. The Georgia Amusement & Music Operators Association (GAMOA) is a dynamic organization that has worked diligently since 1982 to improve the business atmosphere for the coin-operated amusement industry in Georgia. GAMOA works with local and state government officials for the purpose of educating them on the benefits of the coin-operated amusement industry in Georgia, and has found it necessary to educate officials in many of the municipal and county ordinances which either outright prohibited or severely restricted the operation of coin-operated amusement games. Overall, persistence and determination have opened the state to our industry with only minor opposition remaining on the local level. GAMOA is also very active in the state legislature educating legislators to allow non-cash redemption in Georgia and other progressive policies for the coin-operated industry. In addition to legislative representation, GAMOA membership provides business contacts, networking opportunities, educational offerings, tradeshow access and other services. Membership proceeds are used to develop educational and organizational programs as well as legal and legislative services to strengthen the coin-operated amusement industry as a viable economic force in the state of Georgia. In 2013, HB 487 passed by the Georgia General Assembly, regulated the coin-operated industry under the Georgia Lottery Corporation. 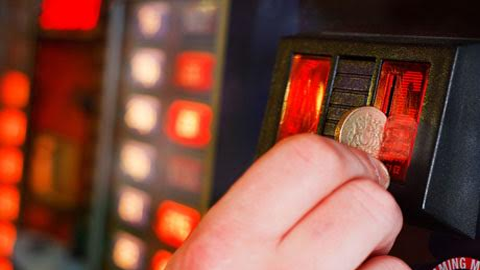 GAMOA has embraced this regulation and works closely with the Georgia Lottery to improve the coin-operated industry. GAMOA is the largest Amusement & Music Operators Association in the US and growing because we believe a successful association is the one that provides a fair business atmosphere for all businesses who have machines as a whole or part of their business. If you give membership a chance, we firmly believe you will be happy with the group’s representation.